Maureen has been with Strategic Transactions for 20 years, first as a Research Analyst, now as a Senior Deals Analyst, with a brief in-between stint as Editor/Contributor for Start-Up company profiles. In her current role, she primarily researches, analyzes, writes, and edits summaries involving current biopharma and medtech deals – which appear in the ST database and the monthly dealmaking section of In Vivo – and also writes and updates legacy deals. Maureen regularly co-authors a quarterly statistics column covering deal trends in both the biopharma and medtech industries for In Vivo. 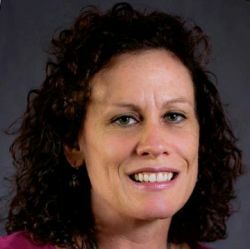 Prior to joining Strategic Transactions, Maureen was a corporate librarian in a management consulting firm fielding search requests for in-house analysts, and then spent two years with Lexis-Nexis as a customer consultant having daily contact with client subscribers to teach database searching techniques. Maureen holds a Bachelor of Arts degree in English from Niagara University, and a Master of Library Science degree from Southern Connecticut State University. At $10.9bn, biopharma financing was at its lowest quarter of the year. GSK’s $5.1bn acquisition of oncology player Tesaro led M&As. And 13 partnerships exceeded the $1bn mark, led by two agreements focused on RNAi.